After a two-month long search to find Tom Brady's missing Super Bowl XLIX and LI jerseys, the quarterback was finally presented with the shirts at Fenway Park on Monday. Unfortunately for Brady, they were stolen again within seconds--although this time he was able to get them back much faster as well. The Patriots were at Fenway for the Red Sox's Opening Day showdown against the Pittsburgh Pirates (which Boston won, 5-3). Before the game started, Robert Kraft officially presented Brady with his stolen articles of clothing. 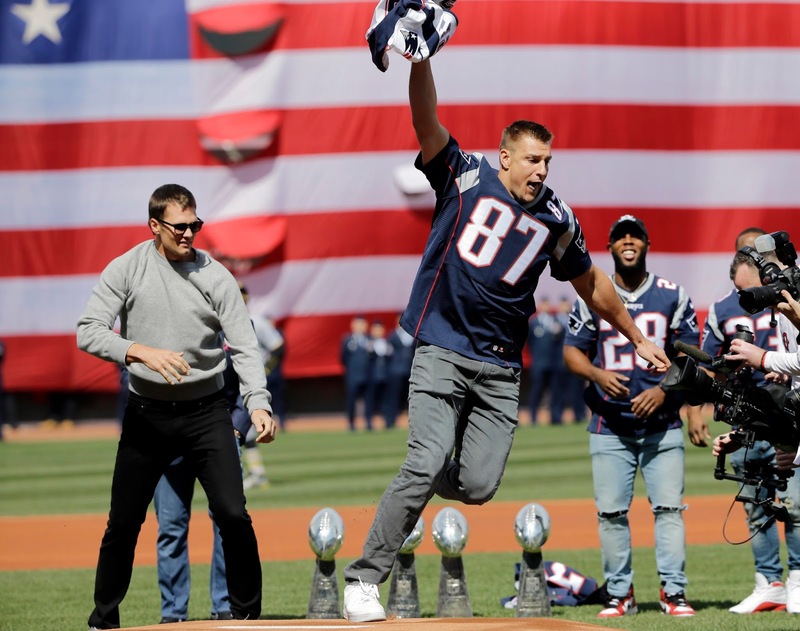 Brady held them up for the crowd, which generated a massive ovation, but Rob Gronkowski stole the show by swiping the jersey and forcing Brady to chase him across the infield before going down in the outfield grass. Brady showed some nice mobility to run down the All-Pro tight end, and in the box score his effort would probably earn him a tackle. Really though, Gronk went down without much of a fight. I can't imagine Brady, he of the 5.28 40-yard dash, catching him any other way. After finally tracking down the second jersey thief like a heat-seeking missile, the quarterback (and former catcher drafted by the Montreal Expos) threw out the ceremonial first pitch and closed the book on his long missing-jersey saga. 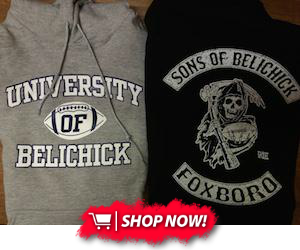 We'll just have to wait and see what happens with the jersey if the Patriots manage to defend their title next year.